While a number of communities are taking on the crowdsourced placemaking of their downtowns, this idea of applying the Wikipedia approach to urban revitalization hasn’t happened regionally, until now. At an event on June 19, 2013, Destination LI launched the first regional crowdsourced placemaking initiative, with a mission of “supporting triple-bottom-line economic development for Long Island by developing enthusiastic local market communities for inspiring destinations that will attract the people and companies that grow the innovation economy.” At the launch event, in front of an audience of three dozen of Long Island’s most influential private and public interest leaders, over twenty young professionals attended to express their commitment to crowdsourced placemaking as a priority in investing in walkable downtown destinations to keep them in Long Island (image below). 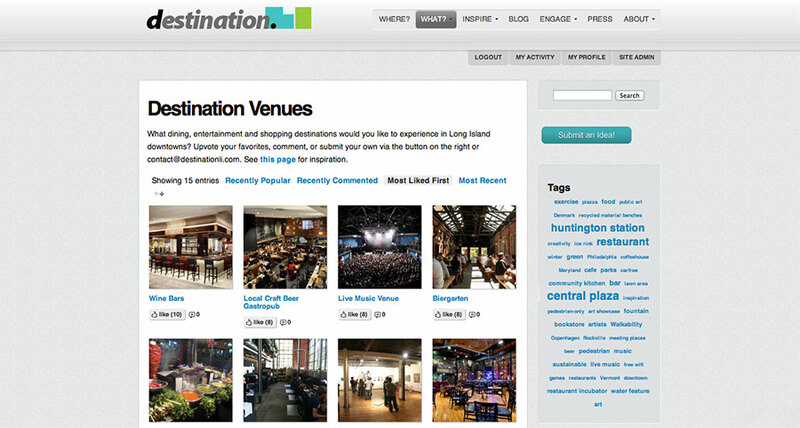 Within days of the event, over 500 people registered on the Destination LI website to upvote the kinds of places they’d like to experience in Long Island, as well as where they’d like to see that happen. Two of the first qualifying communities that received enough support were Baldwin and Long Beach, and Destination LI is already assessing the potential of implementing crowdsourced placemaking programs there. How did it happen? It took shared values between young professional groups LIincs and Urban League, a triple-bottom-line crowdsourced placemaking development firm, Renaissance Downtowns, and a crowdsourced placemaking practitioner, CSPM Group to invest in a vision to keep future generations in Long Island. 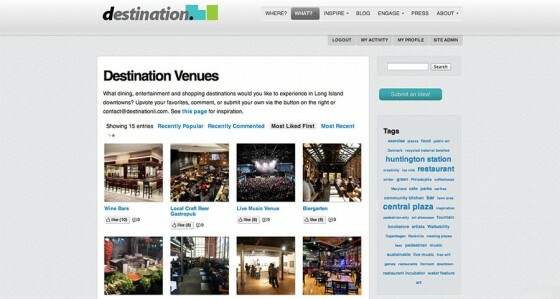 Read more about Destination LI in the press here.